Amazon just launched, Day One, “a weekly literary journal dedicated to short fiction from debut writers, English translations of stories from around the world, and poetry.” Each issue also features commissioned cover art. It is nice to see a journal focusing on debut writers, and translated stories, even if it is only for Kindle readers. And the book list for World Book Night 2014 was just announced. I had never heard about this night until I read about it in Books on the Nightstand, a book blog I subscribe to. It’s held every year on April 23rd, the UNESCO International Day of the Book, and is an opportunity for people to give books away in their local community to adults who are light readers or do not have access to books. I don’t see a lot of debuts on this year’s list, but Peter Heller’s The Dog Stars is there. They are now taking applications from people who want to give away books in their communities next year. 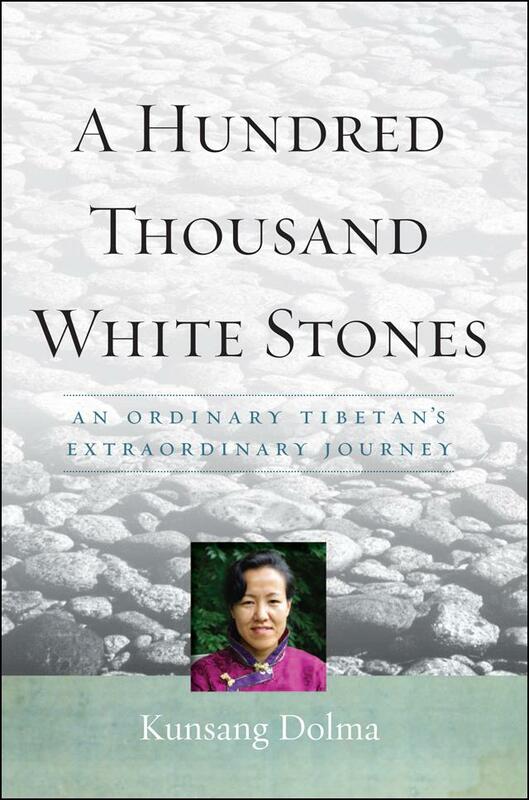 This memoir is a look at life in Tibet, and a Tibetan woman’s journey to the United States. Growing up in Tibet in the 1980s, Kunsang Dolma was one of eight kids in a dysfunctional family. She went to elementary school for a few years before she dropped out to pitch in at home. After an adolescent trauma, Kunsang becomes a Buddhist nun and eventually flees her family and home for life in India, where over the course of six years she loses contact with her family, and meets and falls in love with an American man, Evan. Together they decide to get married so that Kunsang can come to the U.S, where she eventually settles in Maine. Once a U.S. citizen Kunsang is able to finally return to Tibet with Evan and their two children. She is reunited with her family after not seeing them for over ten years. This is a moving book. I was particularly drawn to the early pages, when she writes of her life in Tibet, and the customs and ceremonies of that culture. Her overland trek from Tibet into Nepal was riveting and while I knew she would eventually make it, there were times when I wondered if they would. However, Dolma writes in a simple voice, which might not appeal to all readers, and the middle of the book revolves around the story of how she got a visa to come to the U.S. from India. This attempt, which took months, sounded real, but the book dragged for me in those pages. However, I was engaged again when she got to the U.S., especially during her first few months, which she spent in Colorado, where she struggled to find her way in a culture so different from any she had experienced before. In particular, she writes about how in the U.S. our social life is planned and scheduled, unlike in India, where people would drop by or gather locally. I recommend this book to someone who is interested in Tibet or in an immigrant story, which is a long and complicated journey from a small Tibetan village to Maine. Dolma and her family still live in Maine. The book’s blog includes photos from her life and deleted scenes from the book. I received an ebook copy of this book from the publisher via Net Galley. Proto Libro celebrates its first year anniversary this month. I started this blog because I have a long commute: 2 or 3 subway trains and 1 hour (on a good day). If you have ever had a long commute, you know how deadening it can be – the waiting, the standing, the crowds, the delays. I’ve always read a lot on the train, but after four years of this commute I began to feel like I was reading just to keep my mind off the fact that I was underground, that I was adding 2 – 3 hours to my work day, and that I was not going to the gym after work because I was too tired after my time on the train, so I decided that I needed to do something more positive with my commute. It was time to read with a purpose. Enter Proto Libro. I chose to review debut novels and memoirs because I’m a fiction writer and I am interested in learning more about new books and new authors. I also noticed, while researching topics for my blog, that there were few platforms that focus just on debut authors. Before I started this blog I was Tweeting micro book reviews and found that when I wrote about new authors they were more likely to Tweet back. I liked that interaction. So here we are, 12 months and 24 books later. In the next few weeks I am going to write about what I have learned in the last year, acknowledge some of the stand out debuts from 2012- 2013 and do a book giveaway. But first, thanks to all of you for your support. I enjoy writing this blog, but having you read, make comments, email me, and even press the like button about my posts makes the reviewing so much more enjoyable. As much as a write for myself, and the authors whose books I review, I write for you. Thanks for the inspiration!